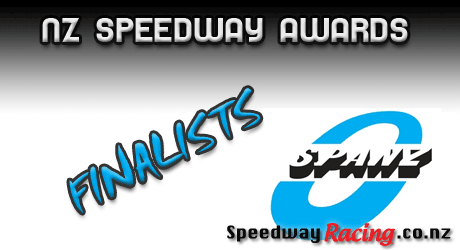 The results are in and the winners of the SPANZ New Zealand Speedway Awards for 2012 have been announced in Auckland on Saturday. 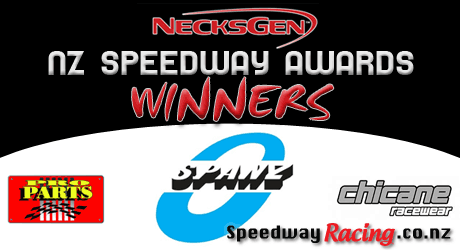 Update: Looking for 2013 Speedway Award Winners ? Well done to all those finalists, and a big congratulations to the 2012 award winners. Your nominations are in and the finalists have been revealed for the Necksgen New Zealand Speedway Awards, brought to you by Pro Parts and Chicane Racewear. The winners will be announced this Saturday 11th of August, in Auckland at the Ellerslie Event Centre. Congratulations to all those finalists, and good luck for Saturday! Hope you have got your tickets. UPDATE: Winners of the 2012 NZ Speedway Awards have been announced!